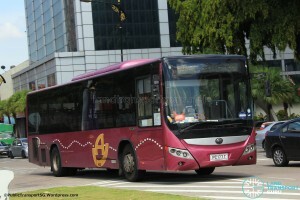 Advance Coach AC7 is a cross-border service plying between Yishun Bus Interchange and Sultan Iskandar CIQ (JB CIQ). 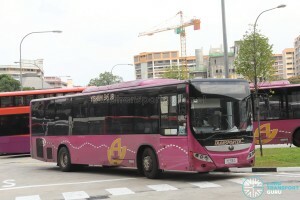 It is operated by Singapore-based private bus operator Advance Coach, with their distinctive purple Yutong high-floor city buses. NOTE: Service AC7’s are observed to be less frequent than the frequencies above. Please plan for additional travel time and possible alternative routes if the bus does not show up. 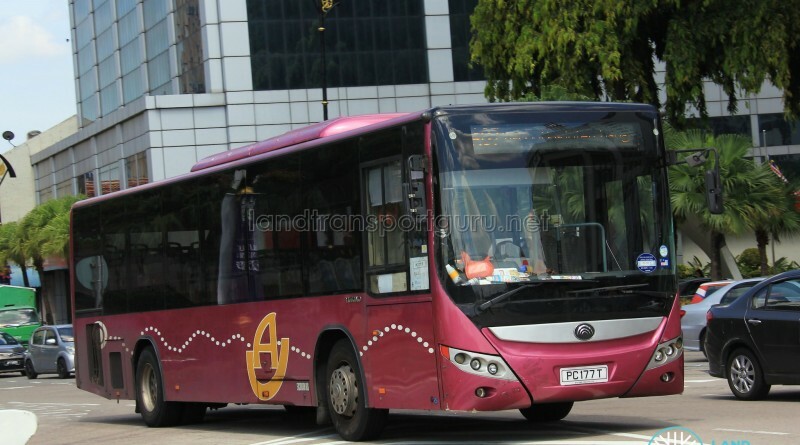 Advance Coach AC7 is a cross-border route connecting Yishun, Sembawang Rd, Sembawang MRT, Woodlands Ave 9 and Marsiling to Sultan Iskandar CIQ, the customs checkpoint in Johor Bahru. Introduced on Wednesday, 15 December 2010, the service was part of bilateral Singapore & Malaysia agreement to improve transit links between both countries. Formerly terminating at Kotaraya II Terminal, it was shortened to JB CIQ following the closure of the terminal. Due to varying traffic conditions at the Causeway, travel times and frequencies may increase significantly when jams occur. At each checkpoint, rides will be suspended and passengers have to alight and clear customs before boarding the bus again. Upon reboarding, passengers will be required to show proof of payment (issued receipt). Fare: S$2.20 (ez-link) or S$2.50 (Cash) from Singapore, RM $3.00 from Malaysia. 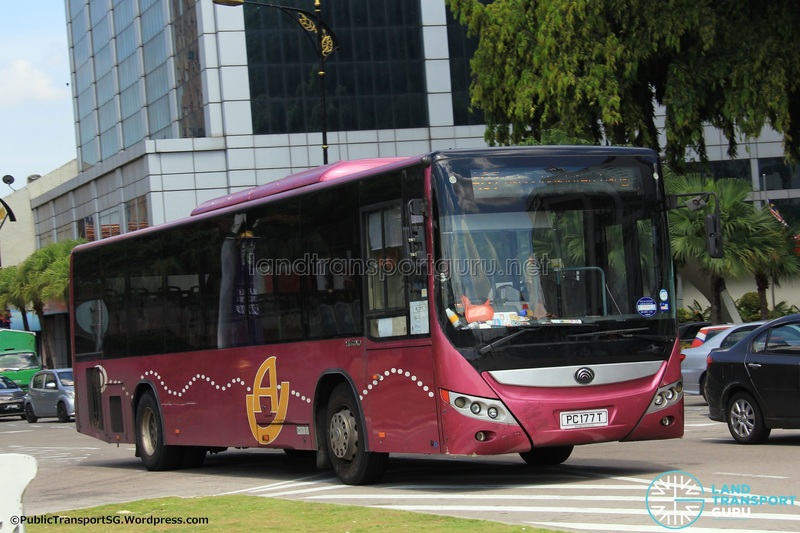 Fleet: AC7′s fleet comprises a full fleet of Yutong ZK6118HGA buses. Waited more than 40mins at Yishun Temp Interchange and no bus visible. It is the most f*up service of all. Will not ride again EVER. Other pt to note, no proper bus stop at Woodlands on returning from JB custom. Unknown or inconsistency bus interval.